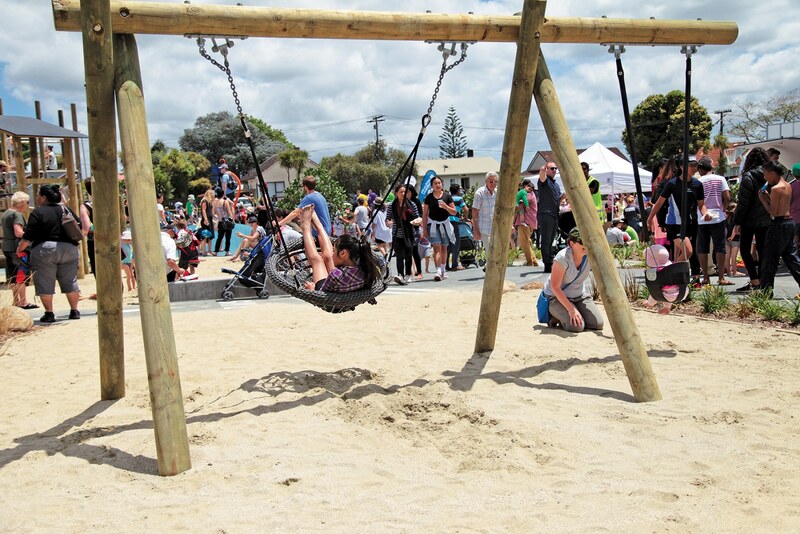 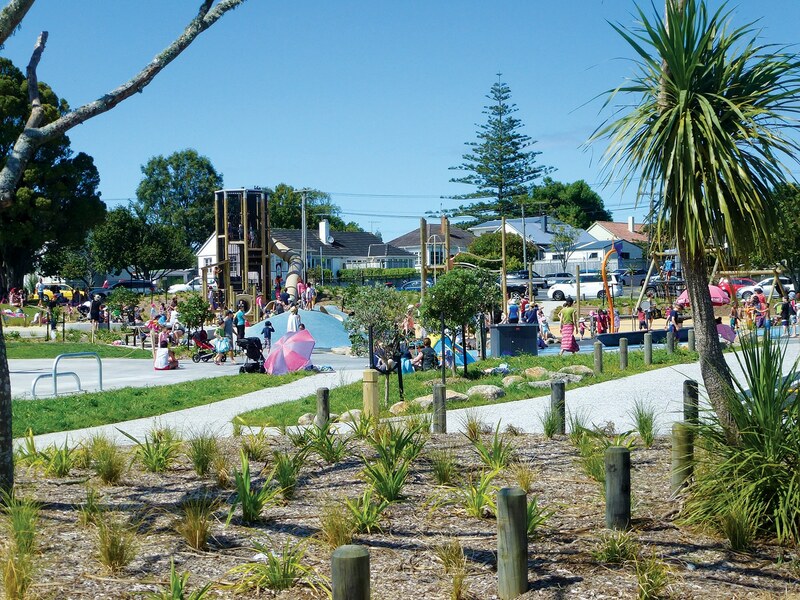 The Albert-Eden Local Board wanted a new playground for a community located close to a major motorway project, the Waterview Connection. 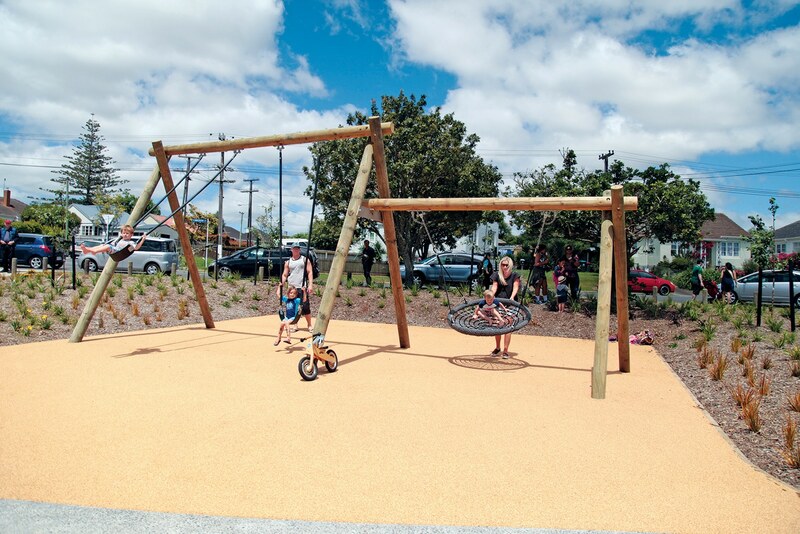 The goal was to create a recreational hub for locals and visitors in Auckland’s Waterview Reserve, with colour and fun for all ages and abilities. 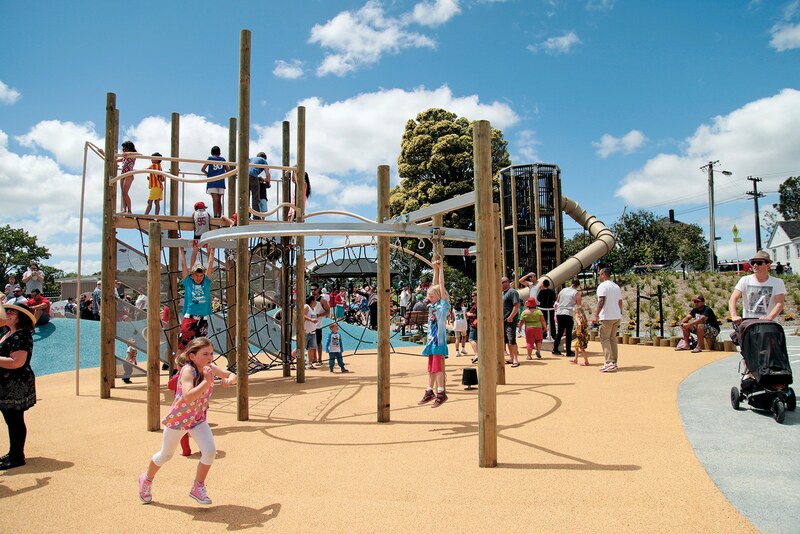 Developed to provide social mitigation for the motorway, the playground’s awesome features have surpassed all expectations ­– and brought the local community together like never before. 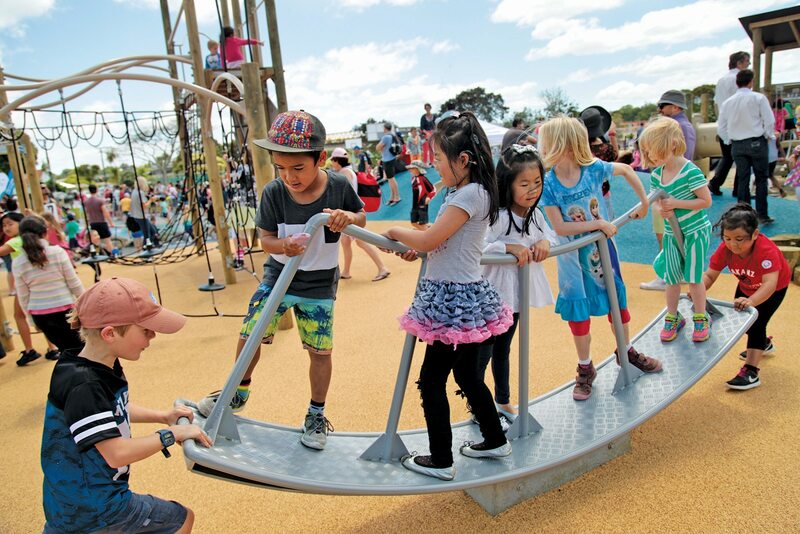 The new playground took its inspiration directly from its target market: kids themselves. 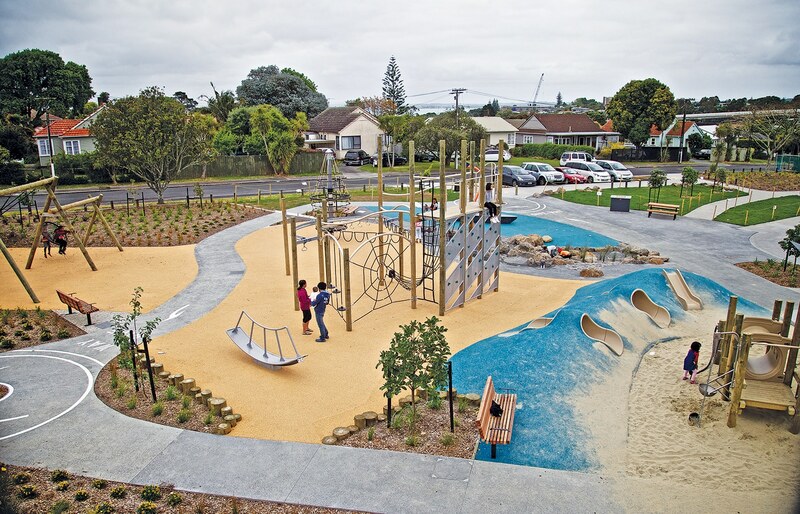 This destination playground was designed with the involvement of students from the local primary school. 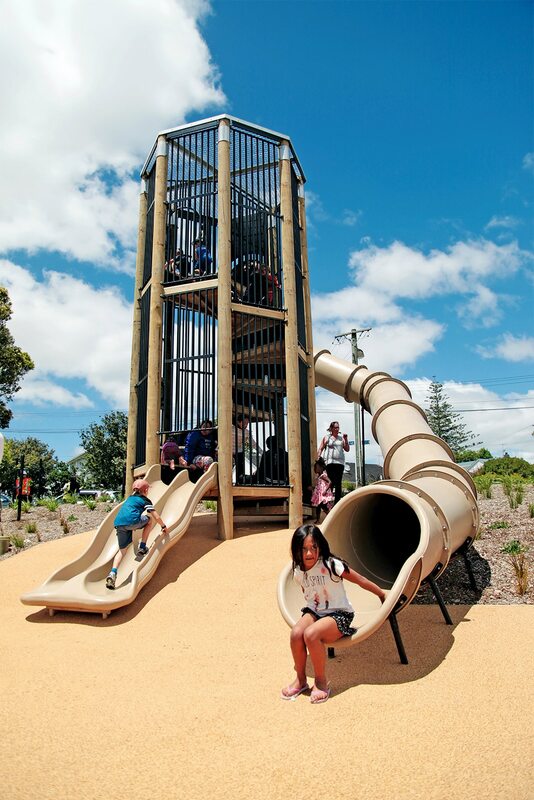 The imagination of the children was brought to life through the unique and engaging design and bespoke equipment, including all-inclusive options. 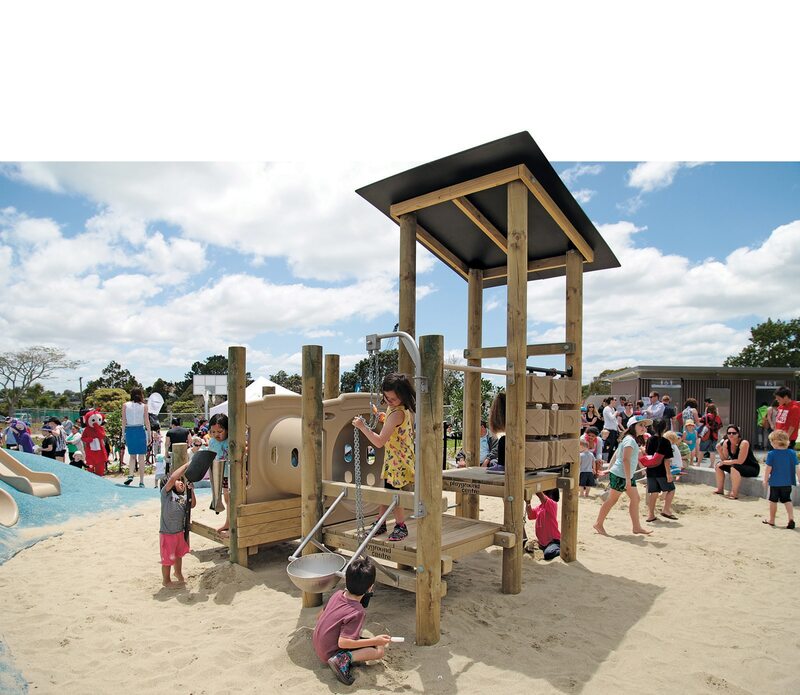 There is something for all ages and all abilities, with water play and risk-taking activities as well as a superslide, swings and roundabouts. 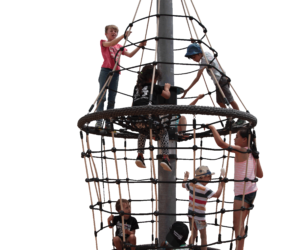 Bridges, tunnels, challenging climbing nets and even a spiral stair tower take variety and adventure to a whole new level. 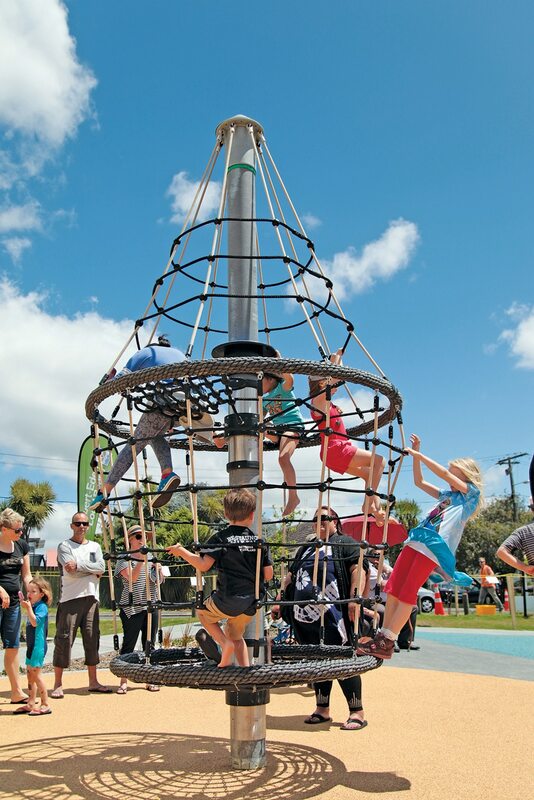 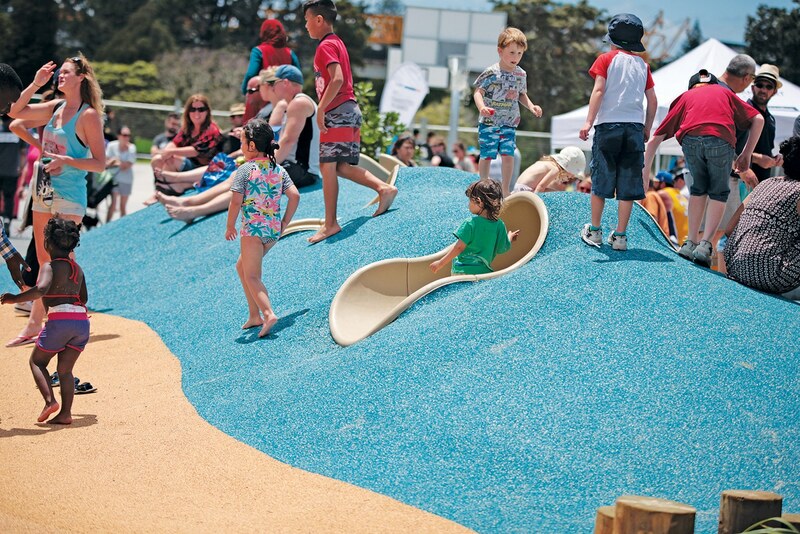 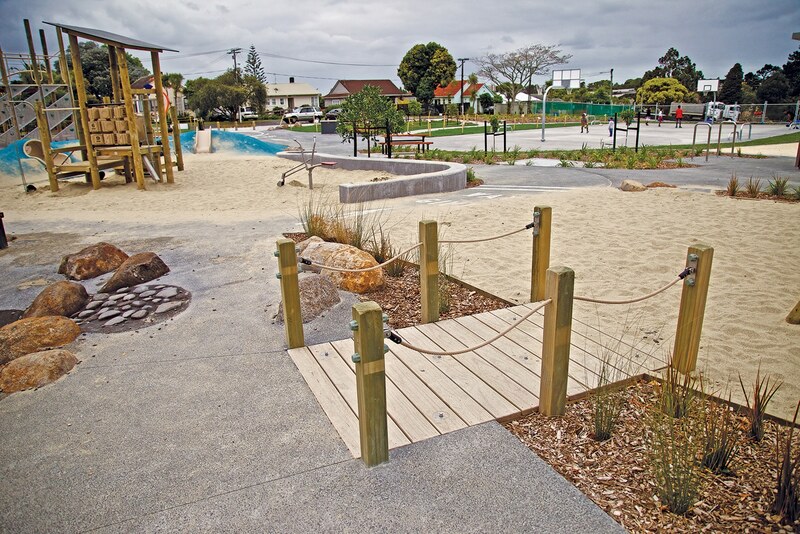 Designed for toddlers through to teenagers, the playground includes big splashes of ground cover that are coloured sea blue and sand to reflect its location near Waitemata Harbour.